2018: D.C. Advocates helped prevent a proposed $2.6 billion cut to Pell Grant funding, protecting the ability for thousands of MA students to afford a college education. Student advocates lobbied congress to help get $5 million allocated for Open Textbook Grant programs that will save students an estimated $50 million in textbook costs. 2016: Helped pass a statewide bill to lift the cap on solar energy and helped to pass city council resolutions for 100% renewable energy in Dartmouth and Salem. 2015: Helped convince McDonald’s and Subway to commit to serving meat raised without antibiotics – a major step towards stopping antibiotic resistance and protecting public health. 2013-2014: After a decade-long campaign to pass an update to the Bottle Bill – the Baystate’s most successful recycling program – through the legislature without any movement from Beacon Hill, we decided to take this bill to the people. We collected over 160,000 signatures from voters across MA to qualify this initiative for the Nov. 4th ballot. 2010: Right now, global warming pollution is altering our climate in ways that carry a high price for humanity and the environment. And yet polluters and their allies in Congress pushed for a series of proposals to block the Clean Air Act from doing its job. 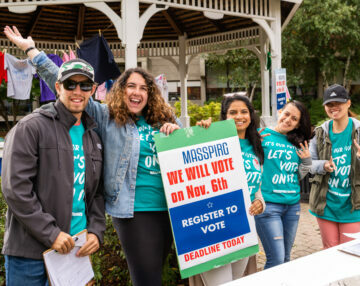 Teaming up with other student organizations around the country, MASSPIRG volunteers convinced lawmakers to stop rollbacks to the Clean Air Act. 2010: After the Gulf oil spill disaster, we joined a national coalition of groups to gather more than 400,000 petitions and calls to the Obama administration calling for a ban on new offshore drilling. And we won, despite heavy pressure from big oil and gas companies. On December 1st the Obama Administration announced that it will protect the coasts of the continental United States from new drilling through 2017. 2008: We helped pass the Global Warming Solutions Act. The Senate passed this landmark global warming legislation that will reduce emissions of greenhouse gases from the Commonwealth by 20 percent below 1990 levels by 2020 and 80 percent by 2050. 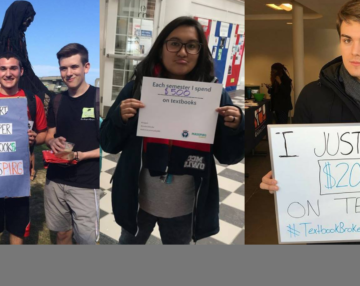 Students around the state organized call-in days, gathered over 7,000 petitions to their legislators, and organized events on their campus to build support for this legislation. 2007: In September, we helped pass the College Cost Reduction and Access Act, the largest increase in federal student aid in 20 years. This law also made dramatic cuts in interest rates for student loans. We followed up by helping pass the Higher Education Opportunity Act, which was signed by President Bush in August 2008. That law contains several important policy changes, including an increase in the maximum authorized level of the Pell Grant to $9,000. This was a huge victory for MASSPIRG students, and staff who were organizing petition drives, student debt alert events on their campus, and speaking at higher education hearings in DC. 2007: In January, MASSPIRG students began organizing events on their campuses, asking for more renewable energy in the state. Students organized solar smoothie events, mini windmill farms, and coal vs. wind faceoffs. Our staff and students had district meetings with legislators and gathered petitions. 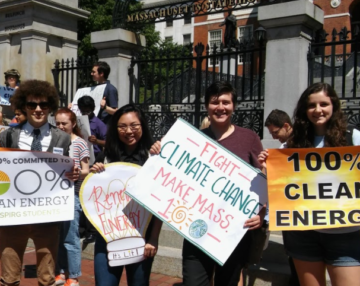 Because of our hard work, both houses of the Massachusetts legislature voted to pass a strong renewable energy standard, requiring the state to get 14% of its energy from clean, renewable sources like wind and solar power by the year 2020. 2004-2006: MASSPIRG released groundbreaking reports on how the textbook publishing industry is ripping-off students. CALPIRG students surveyed hundreds of professors and bookstores and our research led to approximately 400 news stories across the country. In addition, Congress called for an independent study by the GAO. After our reports, Pearson announced an online textbook that is 50% cheaper than the paperback version and the UCLA Math department negotiated a 20% cheaper Thomson Learning textbook. 2005: MASSPIRG students working with groups across campus organized different responses to Hurricane Katrina and Rita. UMass-Dartmouth MASSPIRG students organized trips down to the gulf for over 50 students. MASSPIRG students from UMass-Amherst, UMass-Boston, and Bristol Community College also joined trips to the gulf. On campus, MASSPIRG students organized fundraisers and educational events including a Dodgeball tournament fundraiser at UMass-Amherst that raised almost $5,000. 2005: Despite a strong push by the oil industry and their allies in Congress, MASSPIRG and the State PIRGs were part of a successful campaign to beat back the latest effort to open the Arctic National Wildlife Refuge for drilling. The fight was the latest in a 25-year effort to combat drilling in this pristine wilderness. 2002: MASSPIRG’s eco-pledge campaign convinced Staples to stop selling products made from old-growth wood, and convinced Coke and Pepsi to start using recycled plastic in their bottles. 2000: MASSPIRG and other state PIRGs are a driving force behind President Clinton’s decision to protect nearly 60 million acres of pristine national forests, including 260,000 acres in New England, from road building and most logging. 2000: The Youth Vote coalition helps register 10,000 young voters across the state in under eight weeks. 1999: Following negotiations with MASSPIRG, the Southern Company agrees to cut emissions from its Cape Cod Power Plant by 50%. 1996: MASSPIRG helps to protect 9,000 miles of Massachusetts’ waterways with the passage of our top legislative priority, the Rivers Protection Act. 1995: President Clinton invites MASSPIRG Student Board Chair Alliea Groupp, a Clark University junior, to the White House for a meeting on Higher Education Policy with Secretary of Education Richard Riley, Secretary of Labor Robert Reich, and several other Cabinet members. 1990: The MASSPIRG backed Clean Air law is adopted by the legislature, mandating the Northeast’s toughest anti-smog actions. 1989: MASSPIRG spearheads an effort that wins passage of the landmark Toxics Use Reduction Act. The new law promises to cut toxic waste and toxic chemical use in Massachusetts. 1981: After a nine-year battle, MASSPIRG wins passage of the Bottle Bill. 1980: Students and volunteers bring over 10,000 cans signed by citizens to the State House in support of the Bottle Bill. 1979: MASSPIRG wins passage of a Solar Tax Credit, giving homeowners an incentive to use solar energy. 1977: A MASSPIRG report exposes serious flaws in emergency evacuation plans for communities surrounding nuclear power plants. 1972: Students vote to start the first PIRG chapter in Massachusetts at the University of Massachusetts Amherst.